As we can all agree, there are very few things in this world as immensely exciting as airport terminals, so it is entirely understandable why Gate 777 would be a casino designed entirely around that very concept. 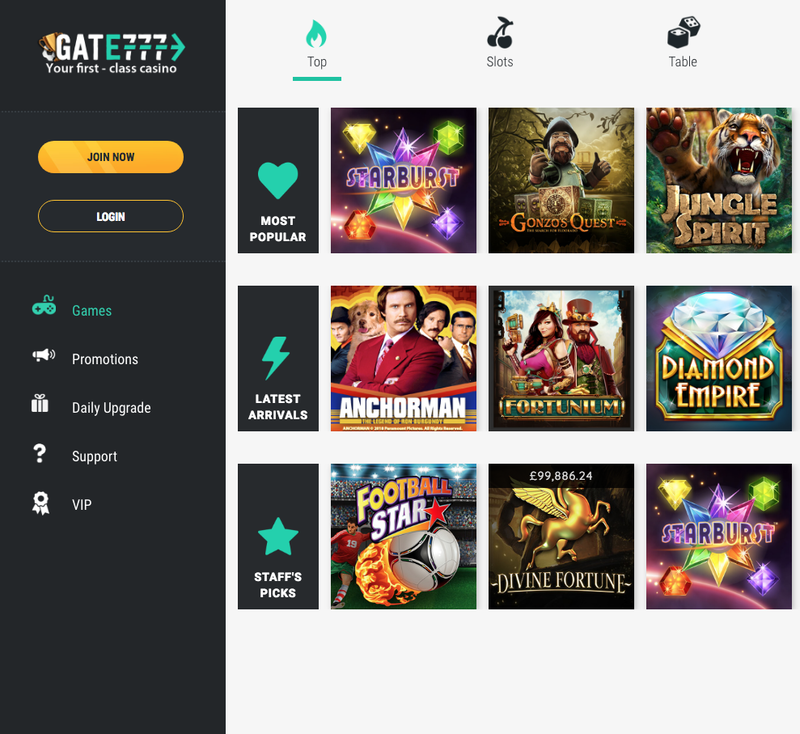 Okay, there may have been a dash of sarcasm in the above, there’s no escaping from it, Gate 777 is a really weird name and concept for an online casino, but it exists, and we’re all going to have to come to terms with that. The strange thing about all of this, is that by taking search an unexpectedly dull theme, Gate 777 makes itself interesting, you pay attention to the online casino that’s decided on an airport terminal theme. Having only launched in March of 2018, Gate 777 is joining one of the most competitive industries in the world, where it’s difficult to survive in the middle of the pack, let alone rise to the top of it. As a result, anything that succeeds in causing an online casino site to stand out is a positive, and like it or not, Gate 777 stands out. Gate 777 also has some legacy behind it, coming from the same people who brought you 21 Prive, Fruity Casa, G’day Casino, Hello Casino, PlayGrand Casino, and Slot Planet. These are all good signs, but can the content at Gate 777 back it up? As odd as the theme may be, the design of it is genuinely impressive, the images are striking, with an airport and an airplane in the background with a Gate 777 sign, which echoes the logo, in the middle of the page. A billboard advertises one of the most recent games, while promotions and games are easy to access thanks to the simple and useful navigational tools that Gate 777 has. A blue and white colour scheme cleverly mirrors the sky in the main image without seeming to try too hard to do so, all in all, this is an exceptional execution of a concept. The problem is, once you’re done being surprised and impressed, everything goes back to the fact that this is an online casino set at an airport, not on a plane, not in a VIP lounge, just at an airport, outside a terminal building, a place that people go to wait before something substantially more interesting happens somewhere else, which is perhaps not the tone that Gate 777 should be wishing to set. When it comes to games, there is no messing about here, new face or not, Gate 777 is coming to compete, and with titles coming from a wide array of software developers that includes Aristocrat Gaming, Big Time Gaming, Blueprint Gaming, edict egaming, ELK Studios, Evolution, GW Games, Greentube, Microgaming, NetEnt, NextGen Gaming, Novomatic, SG Digital, and Thunderkick, there’s a lot to enjoy here. As is almost always the case with new sites in the modern iGaming market, slots are the most abundant game type here, not least due to the huge selection there are available in the world. Video slots, classic slots, jackpot slots, if you like spinning reels, you’ll be spoilt for choice here. It isn’t only slots that are on offer, however, Gate 777 also offers a range of table and card games including roulette and blackjack in various forms. There’s also a live casino for those who prefer that true to life experience to be set in Vegas as opposed to an airport. Gate 777 is one of the most confusing sites we’ve ever seen, a weird and boring concept, that looks great, and a host of exciting games. For some reason, we love it!